Bathtub refinishing is the cost effective bathroom makeover alternative to replacing a bathtub that is worn out, cracked, difficult to clean, or simply the wrong color.  J's Restoration will repair your tub's chips and scratches and restore your it to look and feel like it's brand new. You’ll save thousands of dollars and avoid days or even weeks of demolition mess and costly replacement. The National Kitchen and Bath Association estimates the total cost to remove and replace a bathtub can cost $2,000 or more! J's Restoration's bathtub refinishing will cost a fraction of that! Counter top refinishing is the process of restoring an existing kitchen counter or bathroom vanity to extend its functional life, without replacement. Counter top refinishing works equally well on kitchen counter tops, bathroom vanities, laminate breakfast bars, and even cultured marble sink vanities. This process involves the application of a very hard and durable acrylic coating to the existing counter. Counter top refinishing is almost always more affordable than replacing old and worn counter tops, especially custom counter tops or large counters with curved or unique angles. Ceramic tile refinishing is a process that involves specialized equipment, primers, bonding agents, top coats and clear finishes. The differences between painting vs. refinishing tile are durability, surface gloss and how long the new surface will last. Ceramic tiles that are painted with simple spray enamels or with rolled-on epoxy will simply not look as good as professionally refinished tile. They will also not last as long as professionally refinished tile, nor feel like the real tile. Our mission is so simple. People need a new and improve bathroom appliances. So we help make it happen. In fact, we perform tub refinishing and counter top resurfacing at a whole other level than other businesses. That’s because there is a science behind what we do. We provide the latest techniques with some good ol fashion elbow grease to renew our client's bathtubs, sinks, and tiles. We want you to have the bathroom you deserve! Most of our jobs take just a few hours to complete. you can set up an appointment with us from Monday through Sunday! Fill out the form below to get your free quote today!